I love it when there’s a talk in town about a new restaurant. That means I get to go and try this and perhaps understand why everyone’s going to this place that seems oh so good. And again, I gave myself high expectations and was sadly disappointed. 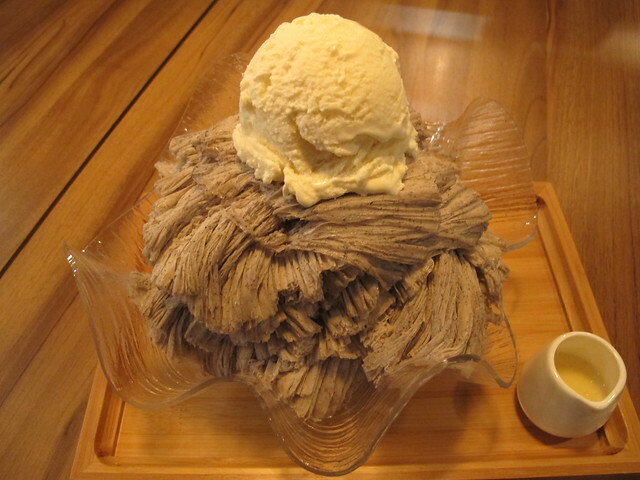 Five us of shared this pretty big bowl of snow ice (we ordered other snacks too); The Ugly Duckling. 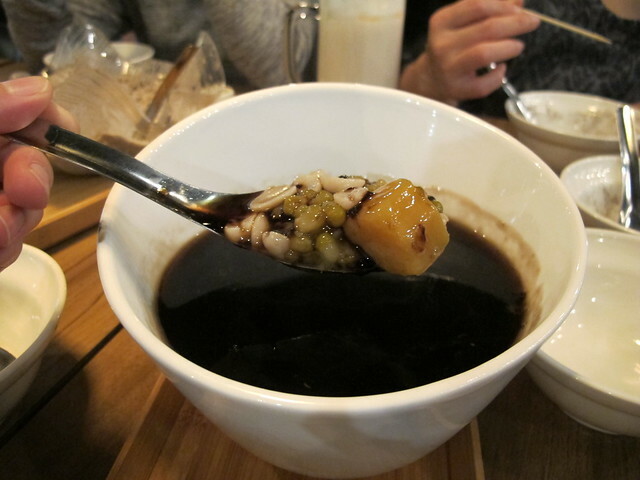 It had unsweetened black sesame snow ice with mung beans, sweet peanuts and vanilla ice cream. 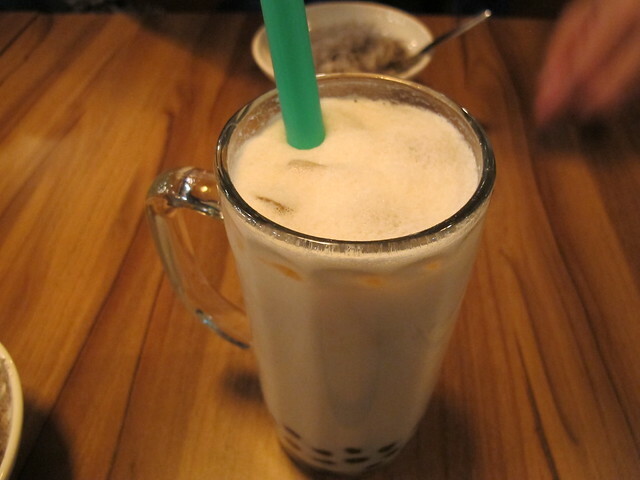 I ordered a house green milk tea with tapioca. I had many green milks teas and this wasn’t my favourite. 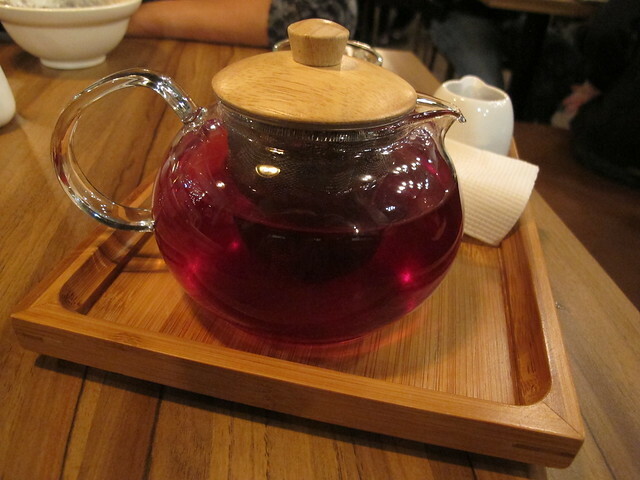 It was more expensive compared to other tea houses. I think A ordered a grapefruit fruit tea. She said it was average. 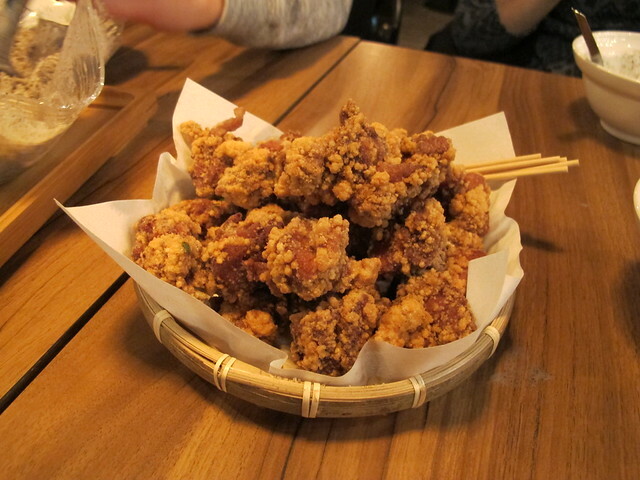 This crispy chicken is probably one of the many reason why this place is so popular; deep fried and salty with a hint of spices. If I were to go back, I would order this again. D got a bowl of hot grass jelly. It’s probably one of the things that he can only have, since he can’t have any diary and eggs. It had sweet potato, peanuts and mung beans.